Moxie is Hero’s last gift to us. 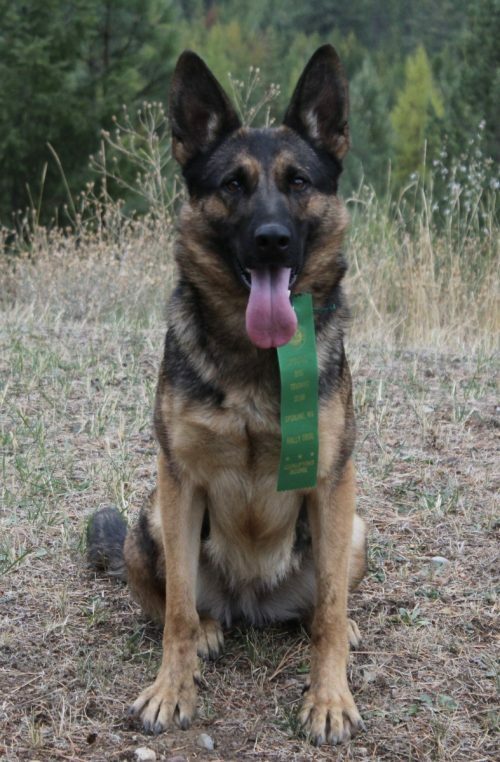 Hero, Nat’l CH Kanas Kenei Van Den Heuvel CD, CDX, BH, SCH I, SEARCH AND RESCUE DOG, gave us two late-in-life litters: the one that produced Moxie and another which produced Oakley. Moxie is like her dad, full of vitality, enthusiasm, and a delightful confidence that takes her over Agility obstacles without hesitation. She loves to work. Great with other dogs, loyal, intelligent, and exceedingly trainable, we are privileged to have her here.